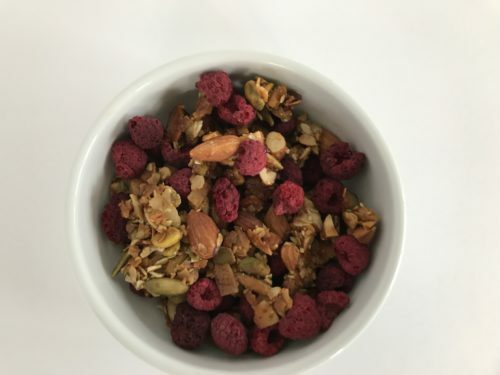 Make this outrageous granola with any kind of freeze dried fruit – Trader Joe’s has the best selection. Preheat oven to 300°F. Line a baking sheet with parchment paper and set aside. In a medium sized bowl mix melted coconut oil, honey, salt, cardamom and vanilla and whisk well to combine. In a food processor combine almonds, pistachios, coconut chips and pumpkin seeds; pulse about 10 times to roughly chop. Pour nut mixture into bowl with honey mixture and toss to coat. 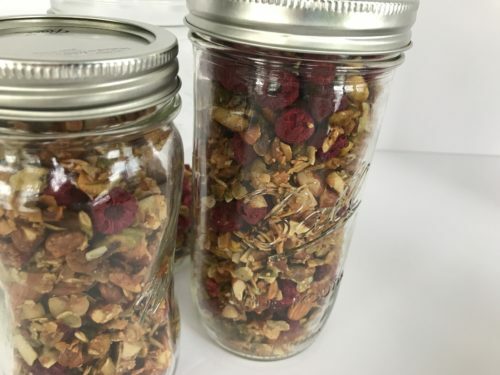 Transfer granola to prepared baking sheet and spread in an even layer. Bake, stirring occasionally, until golden brown (15 to 20 minutes). Remove from oven. 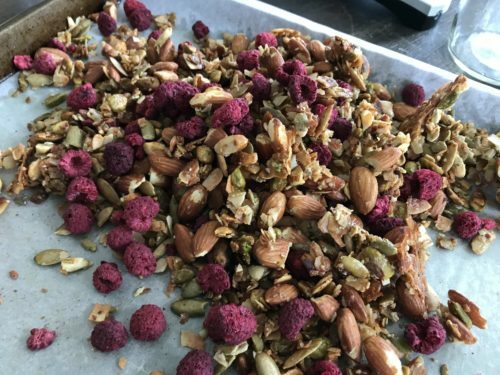 Once completely cool, mix in freeze dried raspberries.